Governor Pat McCrory wants the state legislature to approve more than one billion dollars in bonds as part of his long-term transportation plan. "We haven't decided on the exact 21 because some things could change between now and January. We'd love to provide you the list of 21, but frankly the last five there could be some turning because we're going to do it based on the calculations and the formulas," said McCrory, who made stops in Wilmington, Greenville, Winston-Salem and Asheville Wednesday in which he touted the need to improve connectivity and improve infrastructure. 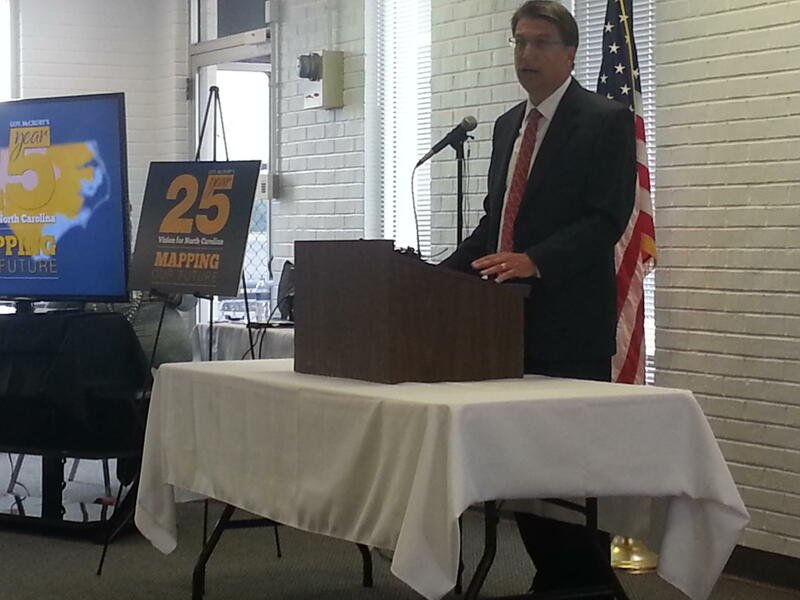 Pat McCrory spoke about his 25-year plan for Transportation at Smith Reynolds Airport in Winston-Salem on Wednesday. Last year, the state legislature approved a new mobility formula to use for considering long-term transportation projects. The governor was joined by Transportation Secretary Tony Tata who says infrastructure of the future is all about connectivity. "It's about connectivity for people to healthcare, to education, to economic centers and to recreations centers. And that's what this document focuses on," Tata said. Tata will present new ideas for revenue to the General Assembly this winter.